#3 Steamboat – Let’s Bring Home that 1st Place Trophy! water provided), 4 nights lodging at The Phoenix, t-shirt, racing fees, welcome party with food & beer, awards banquet with dinner & more free beer and dinner on the return trip home. What is Flatlands Ski Association, otherwise known as FSA? The Flatland Ski Association membership consists of non-profit voluntary membership clubs in which snow skiing, in various forms, is a major activity. 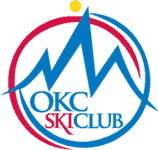 The FSA is the ski council for the ski clubs in Arkansas, Iowa, Kansas, Missouri, Nebraska and Oklahoma. These clubs now number 9 strong and are located in Columbia, Missouri; Omaha, Nebraska; Lincoln, Nebraska [Cornhusker]; Kansas City, Kansas and Missouri; Oklahoma City, Oklahoma; St. Louis, Missouri; Topeka, Kansas; Tulsa, Oklahoma; and Wichita, Kansas. What’s the big deal about this trip? First off, its always a fun trip, packed full of “extra’s.” Yes, we do race…but they are friendly and voluntary. We of course will want you to race, because that’s the spirit of this trip. You see, we get points for every racer and we are always trying to get first place! We have different levels of racing from the never ever racer, beginning/intermediate and advanced. If you’ve never done it before, we will be there to help and support! If your an old pro-what are you waiting for-we want you! OKC is a strong finisher year after year (in 2014, we missed 1st place by just 10 points!, in 2015 we continued to close the gap, 2016, 2017 and 2018 were all great years! )…we’d LOVE to take home the 1st place trophy, but we need your help! When you go you’ll meet people from all the clubs which makes it even more fun! When you return year after year, you get to see them again and again! Great friendships and fun rivalries have been formed throughout the years. Fun get-togethers are planned on and off the slopes. Happy hours most every night. You can choose to participate in as much or as little as you want. And did we mention the FREE Beer? At Snowmass, you could spend your entire trip skiing and riding its terrain without covering the same ground twice. From the choice expert terrain of Burnt Mountain Glades, High Alpine and the Cirque, to the long blue groomers and impressive beginner facilities for newcomers, it is an easy choice. New developments at the base are making it better each season, and this year, we are celebrating its 50th Anniversary. Balance must be paid by December 8th, 2018.